Sony Xperia S. Besides on unique design brought by first flagship for smartphone Android. 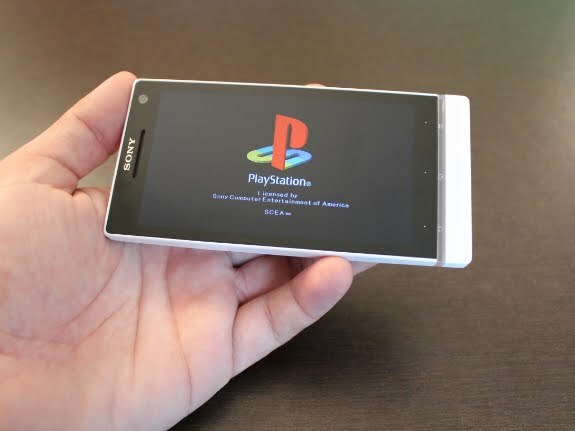 Sony releases the application of Store and PS Pocket for the users Xperia S.
a link has been placed in part of application in Xperia S, what enables smartphone to access to PlayStation Store. user Xperia S also download can the application of PS Pocket. Because the application of this do not come from Android Market of course you beforehand must activate option to install the application of non market in arrangement. Now there some available game but only some ekslusif for Xperia Play. To access catalogue game Sony, you must have account PlayStation Network or Sony Entertainment Network. Sony also plans to give sertification PlayStation for all phone released by year now, including Xperia P, U, Ion and smartphone which is just is introduced, namely Xperia Sola.